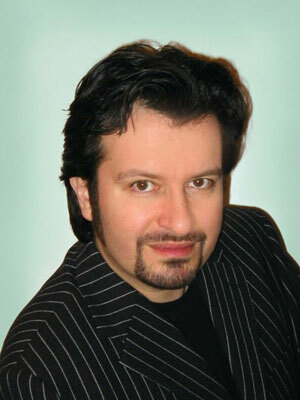 Ilya Levinsky was born in Baku (former USSR) and studied singing at the Baku Academy of Music. In 1989 he was a prize winner of the Glinka Competition in Riga and joined Baku Opera as a soloist. 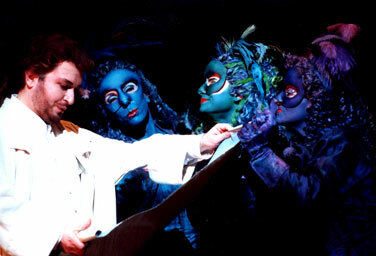 Mr. Levinsky was a principal soloist at the Komische Oper Berlin from 1993 to 1998, where his repertoire included Ramiro ("La Сenerentola"), Rinuccio ("Il Trittico"), Fenton ("Falstaff"), Alfredo ("Die Fledermaus"), Tamino ("Die Zauberflöte"), Beppo ("Pagliacci"). Following his contract at the Komische Oper he became a principal artist of the Frankfurt Opera from 1998 to 2000, where he performed Fenton, Tamino, Nemorino (“L'Elisir d'amore"), Rodolfo ("La Boheme"), Dmitri ("Boris Godunov"), Italian Singer ("Der Rosenkavalier"), Lensky ("Eugene Onegin"). 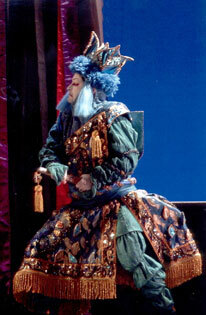 Mr. Levinsky has appeared in recent years on the stages of many major opera and concert houses of Europe, USA and Japan. He has sung under the direction of renowned conductors such as Zubin Metha, Lorin Maasel, Valery Gergiev, Vladimir Ashkenazy, Michael Thilson Thomas, Kent Nagano,Michail Jurovsky, Vladimir Jurovsky, Gennady Rozhdestvensky, Sylvain Cambreling. His concert experience includes appearances with the Gotheburg Symphony Orchestra in concerts of the Skrjabin Symphony No.1 conducted by Neeme Järvi, Rachmaninoff's "Francesca da Rimini" with the London Philharmony conducted by Vladimir Ashkenazy, "Oedipus Rex" and “Le Rossignol" at the Stravinsky Festival 2001 with the Kansas City Symphony, Jewish Folk Songs of Shostakovich with the New World Symphony in Miami conducted by Michael Tilson Thomas, "The Bells" with the Czech Philharmonic Orchestra conducted by Vladimir Ashkenazy and with the BBC Orchestra, Rossini's Stabat Mater with the Frankfurter Museum Gesellschaft conducted by Paolo Carignani, etc. Ilya Levinsky has already appeared on several recordings: in "Lady Macbeth of Mtsensk" for Deutsche Grammophon under Myung-Wun-Chung,also for Deutsche Grammophon he has recorded "Aleko", "Francesca da Rimini" and Shostakovich's Orchestral Songs conducted by Neeme Järvi. He also took part in the BMG recording of Fleishmann's "Rotshild's violin" with the Rotterdam Philharmonic conducted by Gennady Rozhdestvensky and released solo CD of Tchaikovsky Songs for BMG/Conifer. Mr Levinsky has appeared on DVD recordings: "Les Troyens" from Salzburg conducted by Silvain Cambreling and "Le Coq d'or" from Chatelet conducted by Kent Nagano.